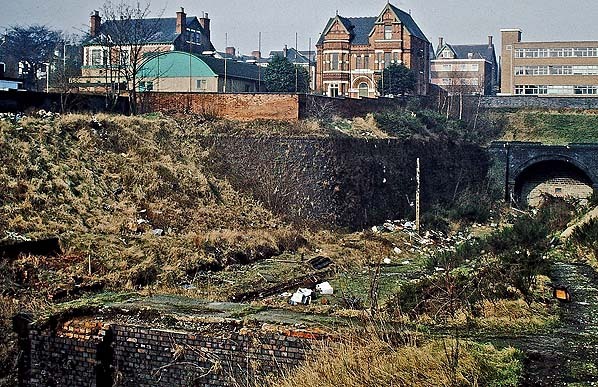 Location: North of the junction of Gregory Boulevard and Sherwood Rise. 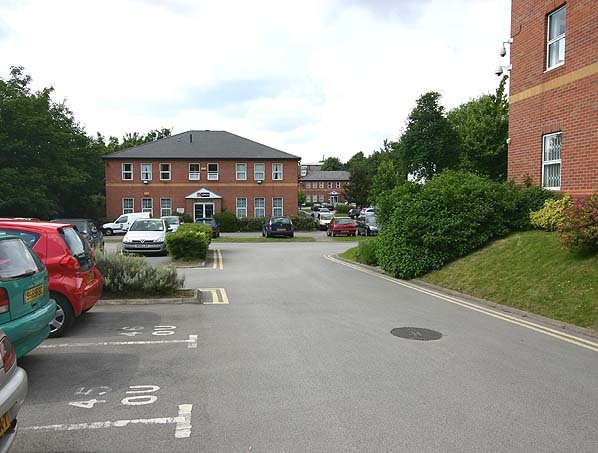 The site is now part of the Clarendon Park regional centre of the Open University in the East Midlands. 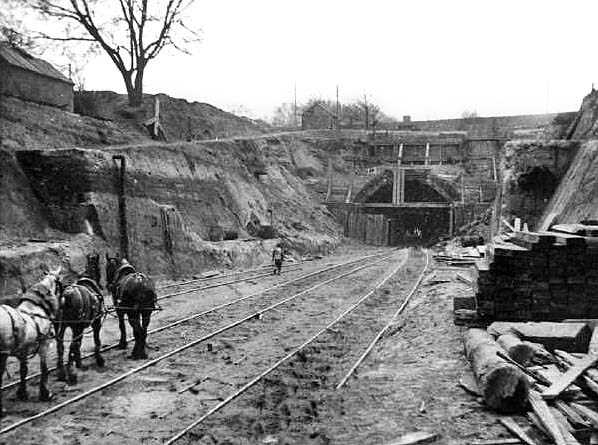 Notes: Notes: Carrington Station was situated in a 154 yard long 40 foot deep cutting between the Mansfield Road Tunnel and the Sherwood Rise Tunnel (662 yards). 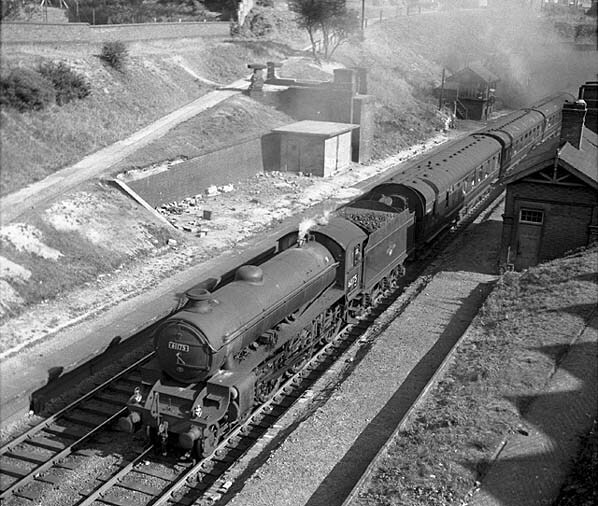 Unlike most stations in the central and southern sections of the Great Central it had two side platforms which were accessed by inclined ramps from the road with a footbridge linking the two platforms. 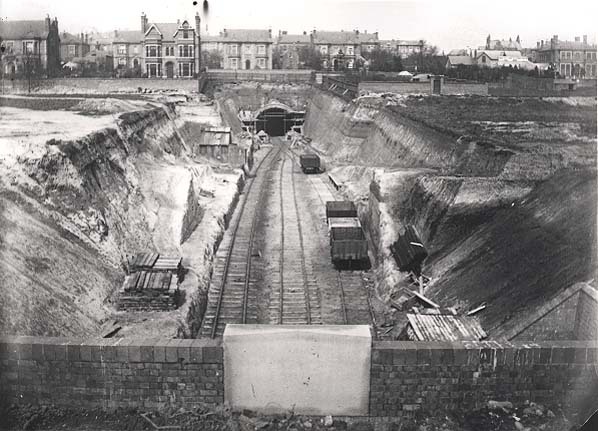 The station was close to the city centre and was an early casualty closing on 24th September 1928, it was the first station on the Great Central to close. 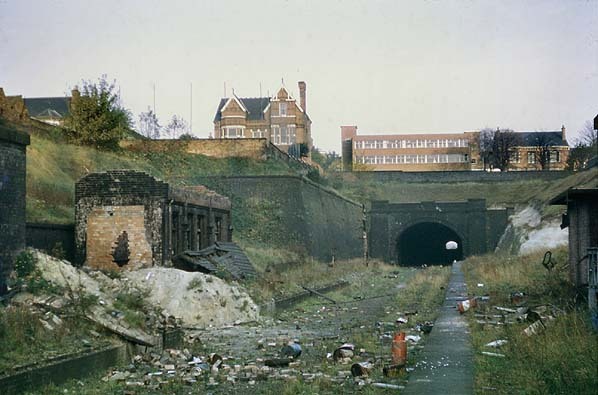 The station remained largely intact until closure of the line in the mid 1960's although by 1969 the platform buildings were in a dilapidated condition. 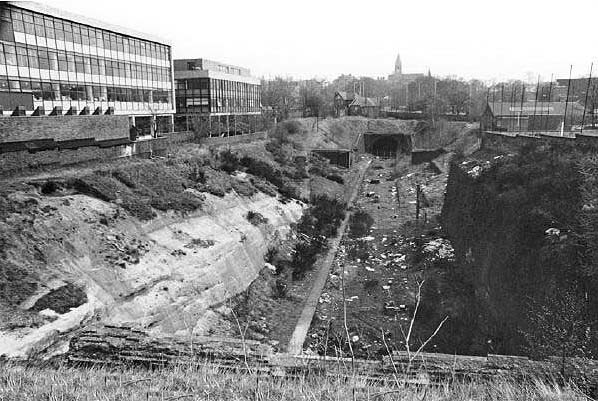 The platforms had been cleared by the early 1980's although the cutting remained. 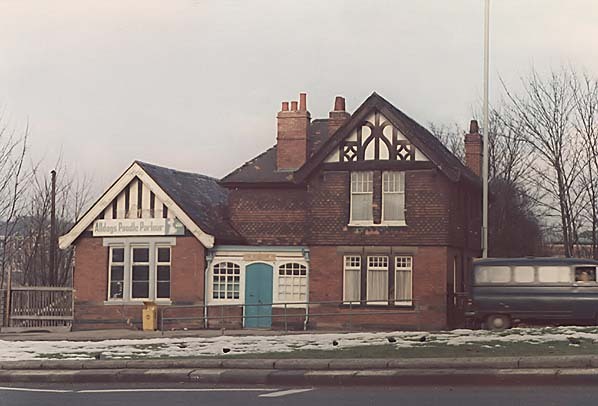 In the late 1980's the mock tudor front of building was used by the Alldogs Poodle Parlour and by 1983 it had become a sweet shop but was demolished by the end of the decade. 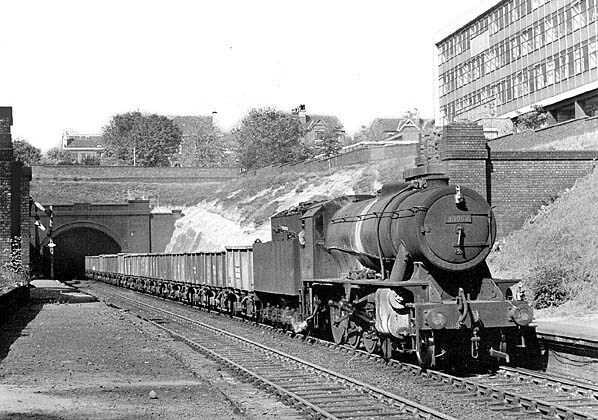 Too see other stations on the Great Central Railway between Sheffield Victoria and Aylesbury click on the station name: Aylesbury, Waddesdon, Quainton Road (1st site), Quainton Road (2nd site)**, Calvert, Finmere, Brackley Central, Helmdon, Culworth, Woodford Halse, Charwelton, Braunston & Willoughby, Rugby Central, Lutterworth, Ashby Magna, Whetstone, Leicester Central, Leicester North***, Belgrave & Birstall, Rothley**, Swithland****, Quorn & Woodhouse**, Loughborough Central**, East Leake, Rushcliffe Halt**, Ruddington, Ruddington Factory Halt, Arkwright Street, Nottingham Victoria, New Basford, Bulwell Common, Bulwell Hall Halt, Hucknall Central, Annesley South Junction Halt, Hollinwell & Annesley, Kirkby Bentinck, Tibshelf Town, Pilsley, Heath, Staveley Central, Renishaw Central, Killamarsh Central, Beighton (1st site), Beighton (2nd site), Woodhouse Junction, Woodhouse*, Darnall*, Sheffield Victoria & Sheffield Bridgehouses. 1890 1:2,500 OS map shows the layout of Carrington station as built. The roadside entrance to Carrington Station in c.1978. infilled cutting at a lower level.